Is it already June? Half way though this year known as 2013. The May 2013 sales figures are out, and Nissan sold 115 Nissan GT-R's in May vs 135 in May 2012. 486 YTD in 2013 vs 479 YTD in 2012, lets call that a push. No bump from the Track Editions that I can see, but perhaps in the next few months we might see how the Track Edition plays out in the US market. The 370Z sold 681 cars down nearly 25%. The all electric Nissan LEAF sold 2138 units, up 319%. Nissan itself was up 31.7 percent, Infiniti down 25.4 percent. A little odd. The G coupe and G sedan were down huge. Everyone waiting for the new Q based cars? 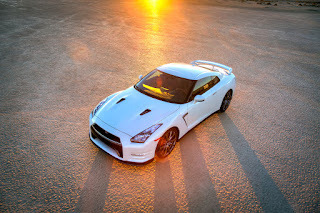 Strong gains by top-selling Nissan models such as Altima, Pathfinder, Sentra and Rogue helped Nissan North America set a new May U.S. sales record with 114,457 deliveries, an increase of 24.7 percent over May 2012. The Nissan division also set a new May record, with 106,558 sales, up 31.2 percent over last year. Infiniti sales in May totaled 7,899, led by the best-ever month for the JX crossover. Full press release and sales chart after the break. Nissan Division sales were up 31.2 percent, setting a new May record with 106,558 deliveries. Nissan division recorded 81,202 sales in May 2012. Sales of the all-electric Nissan LEAF finished May at 2,138, up 319.2 percent over last year and marking the second-best month ever for LEAF. Since the March launch of the 2013 LEAF, with vehicle and battery assembly in Smyrna, Tenn., Nissan has sold 6,311 LEAF vehicles, up 332.6 percent over the same period in 2012. Nissan Pathfinder sales finished May at 9,340, up 292.9 percent over the prior year and marking its best-ever May. Pathfinder deliveries have increased 202 percent so far in 2013, thanks to the all-new model, which debuted in late 2012. Altima sales in May totaled 31,940, up 40.8 percent over the previous year. The all-new Nissan Sentra, which debuted in late 2012, saw sales increase 64.5 percent in May to 12,504. Nissan Rogue had its best-ever month with 17,333 deliveries, an increase of 44.7 percent. Infiniti sales in May totaled 7,899, down 25.4 percent from last May. Infiniti JX, which posted 2,952 sales in May, had its best month since it went on sale in March 2012. Sales of the 7-passenger luxury crossover increased 10.2 percent for the month, and are up 134.8 percent so far in 2013.